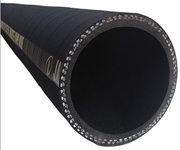 We offer rubber concrete pump hose. 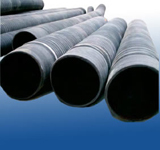 Tube: Abrasion Resistant Conductive Natural And SBR Rubber Reinforcement: High Tensile Steel Cords Cover: Abrasion, Ozone And Weather Resistant Pin-Pricked Special Synthetic Rubber . High pressure grouting hose offering good flexibility under pressure. Steel reinforced concrete placement hose for mobile or static equipment. We produce rubber hose, layer steel wire, 2 layer steel wire, 125mm*5m, 4m, 3m, etc, working press is 85 bar, burst press is 120 bar, welcom you to place trial order for testing its quality, and welcom you to contact us, your inquiry will receive our prompt reply.